JEFFERSON CITY, Mo.—According to the U.S. Department of Agriculture (USDA), Missouri is among the top 10 states in the number of farmers markets with 245 listed in the National Farmers Market Directory. Since 2008, farmers market establishments in Missouri has grown by 74 percent. Below you can read Gov. Nixon’s message. JEFFERSON CITY, Mo. - Following Nixon’s address to Missourians he released the following statement regarding St. Louis County Prosecutor Bob McCulloch. “From the outset, I have been clear about the need to have a vigorous prosecution of this case, and that includes minimizing any potential legal uncertainty." FERGUSON, Mo. – Gov. 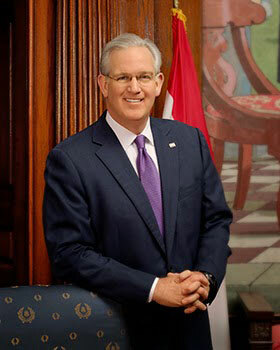 Jay Nixon today issued an executive order declaring a state of emergency and authorizing the Missouri State Highway Patrol to put in place a curfew within the City of Ferguson in order to protect public safety and security. Tonight, the curfew will begin at midnight and expire at 5 a.m. The Governor announced the actions from Greater St. Mark Family Church, where he was accompanied by local elected officials; the superintendent of the Missouri State Highway Patrol, Col. Ron Replogle; and Patrol Troop C commander, Capt. Ron Johnson, who the Governor has placed in command of directing security matters in Ferguson. Miss Hanna Keene from Warrenton was named the 2014 Missouri State Fair Queen. Miss Keene received the highest score of 58 contestants vying for the title in the competition. Miss Keene will reign over the remaining State Fair events and be an ambassador for the State Fair and Missouri agriculture throughout the coming year. SEDALIA, Mo. 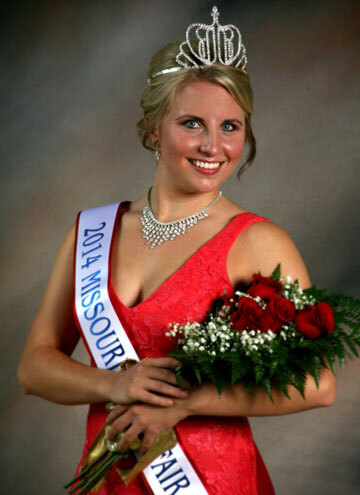 –Miss Hanna Keene from Warrenton was named the 2014 Missouri State Fair Queen in a ceremony held yesterday, Aug. 8. Miss Keene received the highest score of 58 contestants vying for the title in the competition held at 3 p.m. in the Mathewson Exhibition Center. Miss Keene will reign over the remaining State Fair events and be an ambassador for the State Fair and Missouri agriculture throughout the coming year. Winning entries have also been announced in the Fine Arts Department and Opening Day Parade. JEFFERSON CITY, Mo. – Gov. 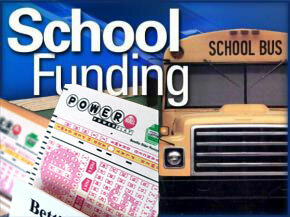 Jay Nixon today announced that he has ordered the Office of Administration to conduct a comprehensive review of the Missouri Lottery’s operations to assess its ability to carry out its voter-approved mandate to provide a stable funding source for public schools. JEFFERSON CITY, Mo. 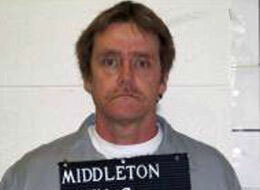 – A former methamphetamine dealer, John Middleton, was executed Wednesday for killing three people in rural northern Missouri in 1995. Earlier this evening the Governor’s Office released the following statement by Gov. Jay Nixon regarding his decision on the petition for clemency from John Middleton. Special sales tax breaks would drain $245.7 million over the next decade from voter-approved resources for conservation, parks and soil and water districts. JEFFERSON CITY, Mo. – The series of special interest sales tax exemptions passed by the General Assembly in the final hours of the legislative session would reduce funding for wildlife conservation, state parks, and soil and water conservation efforts by $245.7 million over the next decade and undermine Missouri’s thriving outdoor economy, Gov. Jay Nixon said today. ST. LOUIS, Mo. – Gov. Jay Nixon yesterday vetoed Senate Bill 493, which would have diverted public, taxpayer dollars to private schools and exacerbated the hardships faced by students in struggling districts and their families. 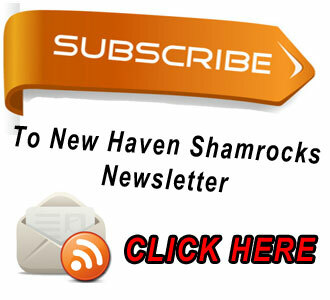 The Governor called on school districts in the region to support the state’s plan to improve the financial stability and academic performance of troubled schools. JEFFERSON CITY, Mo. – Gov. 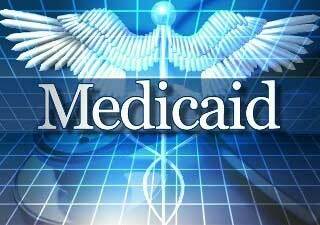 Jay Nixon today issued a statement regarding a report from the Missouri Economic Research and Information Center (MERIC) showing health care job growth in Missouri is falling behind its peer states that have moved forward on Medicaid. According to MERIC, health care job growth in Missouri has slowed to half what it was in 2011 and 2012. In addition, since January the average health care job growth rate in peer states that expanded Medicaid was more than double that of Missouri’s. JEFFERSON CITY, Mo. – Gov. 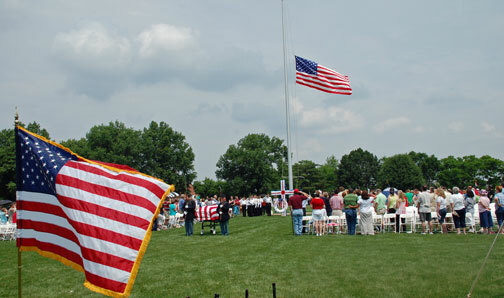 Jay Nixon today signed House Bill 1372 to protect the families of fallen Missouri soldiers at funeral services. 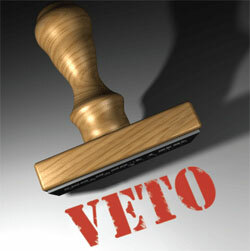 The bill, which was passed unanimously by both the Missouri House and Senate, is patterned after a local Missouri city ordinance that was upheld by the 8th Circuit Court of Appeals.